This cartoon-come-to-life represents the cursor displayed over webpage links. 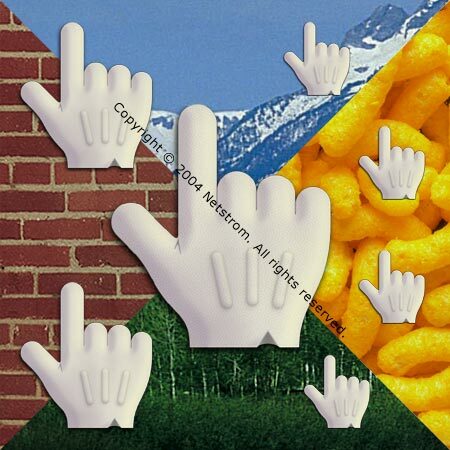 Incorpoated into a photograph, the glove looks as if it were pulled from a browser into the real world. Featured in the cover art of Web Site Marketing Essentials by Dan Stone. Copyright © 2005-2012 Jamie McCanless. All rights reserved.